PACKING LIST for Special Friends Camp can be downloaded HERE. 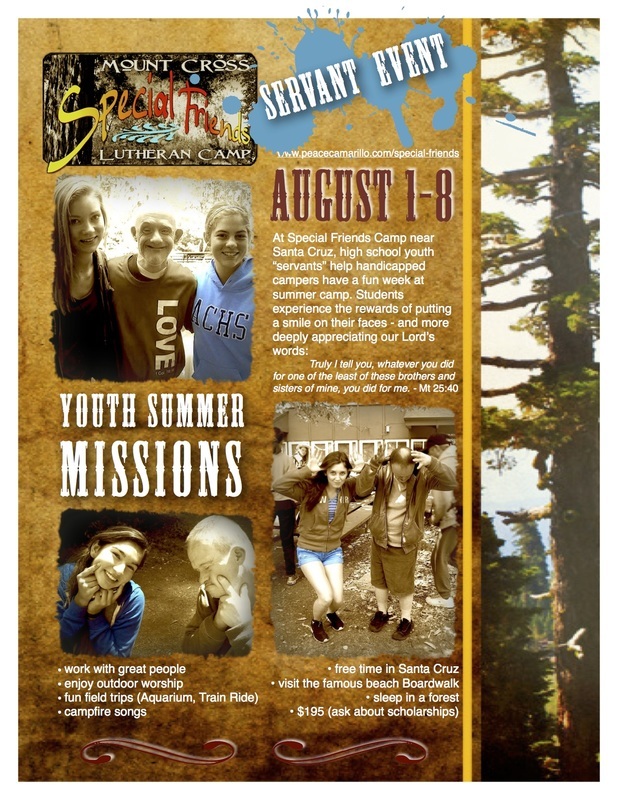 Churches may Register Directly with Mt Cross Lutheran Camp, if you like (otherwise, see bottom). IMPORTANT: Let them know you are with Peace Lutheran Church in Camarillo (or you will be paying more than double for this event). *Signed doctor's exam due no later than Sunday, July 26th. Total: $235 Recommended for the trip. That includes the Winchester Mystery House (some churches may charge a bit more or less depending on cost of van rental, often $1000-plus, and scholarship availability).